In order to have a popular and successful app, you need to not only offer users unique software with the latest technology, but you need to know how to market your app to them. They can assist you in targeting the right market making your app profitable. To give you a better idea of some of the latest and top five (5) apps and games available for Smartphones and Tablets on iOS, Android, Windows Phone and Blackberry app markets/stores, the following apps and games review will help you. 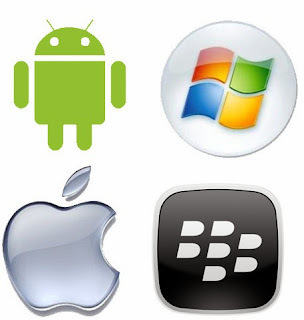 On the other hand, if you’re not a developer, and you are a mobile user looking for the latest app releases, you’ll discover that some of the newest and hottest applications available are those that include games, business apps, health apps, sports apps, and more. Appnext.com, and other mobile ad networks, can help you reach your advertising goals and cover all of your Mobile and Social Media ad needs. 1. Bodywise App Review – this is a free iOS health and fitness tracker app. It records data related to more than 40 different areas related to your wellbeing. 2. NFL Mobile App Review – a free application for BlackBerry, this is an official NFL app that keeps you informed about your favorite sport. Get custom fan alerts, video highlights, live score updates, and so on. 3. Zite App Review – this latest version of the popular free Android news app is equipped with a new user interface and design. It also has a widget that can deliver stories right to your home screen without you having to open the app. 4. Evernote App Review – free for Windows Phone, this update not only fully supports Windows Phone 8, but it has new features, such as the speech-to-text transcriber, multi-shot camera, etc. 5. Super Brothers Game Review – A free iOS game that will remind gamers of the classic Super Mario Brothers video game they enjoyed years ago on the original Nintendo Entertainment System.